I have already written about the dramatic Cape Point and majestic Table Mountain. I am now sharing information about the most beautiful garden in Africa. Kirstenbosch Botanical Garden, bequeathed to the government by Cecil John Rhodes, was nothing more than unkempt farmland overrun with pigs. In 1913 a botanist, Harold Pearson, set about transforming the land into a botanic garden devoted to the country’s indigenous flora. Kirstenbosch grows only indigenous South African plants and is set under the towering eastern slopes of the Table Mountain range. 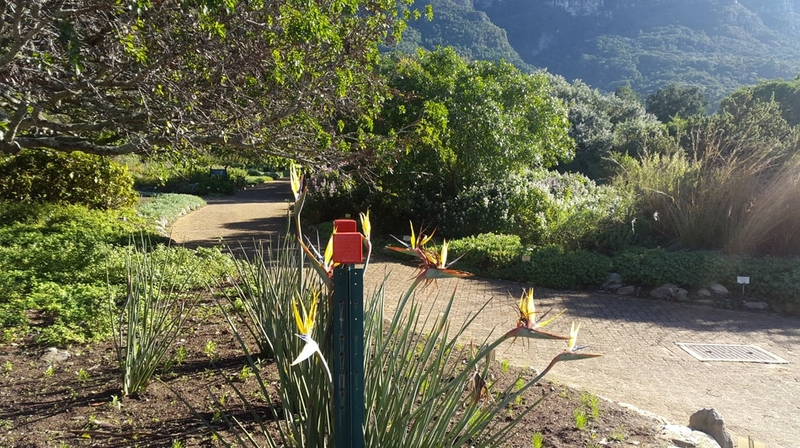 They have specialised sections to explore – the Peninsula garden has 2500 plant species from the Western Cape. The water-wise area shows what you can create using far less water and maintenance. 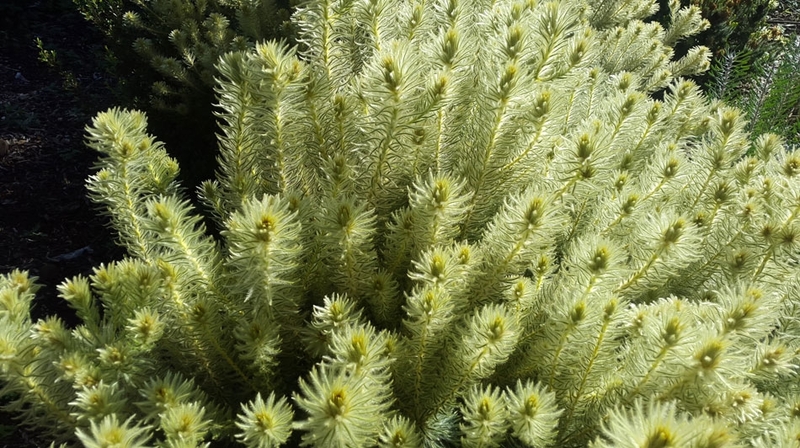 The Fragrance garden has plants with interesting textures and scents. There is an area that grows plants that can be used medicinally. The Dell, one of my favourite walks, the oldest part of the garden, features Colonel Bird’s Bath with healthy tree ferns and a variety of shade-loving plants. 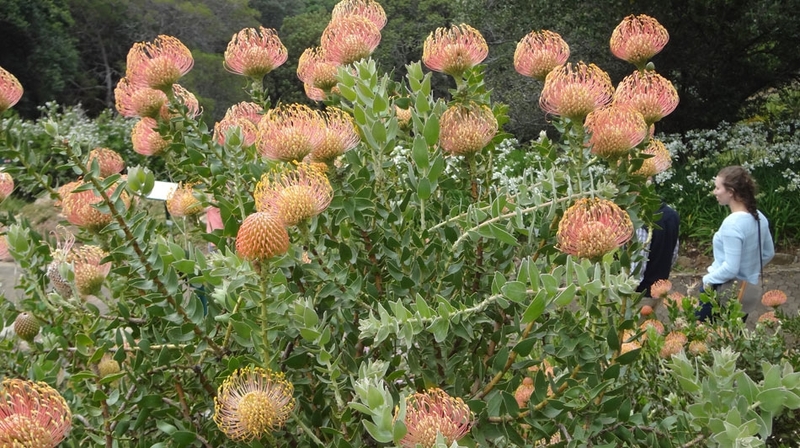 The Protea Garden is most magnificent in winter and spring, when the proteas, conebushes and serrurias are in flower. Pincushions are colourful in early summer. Then there is the restio section, where the dramatic reeds plants are on display. 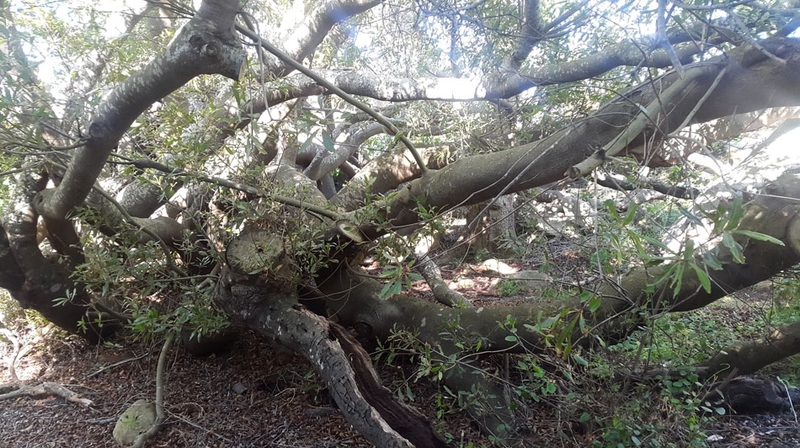 From early history, Van Riebeeck’s hedge was planted in 1660, Camphor trees that protected cattle of the Cape colonists, some of which is still there! The Botanical Society Conservatory, houses plants from the continent’s more arid regions. 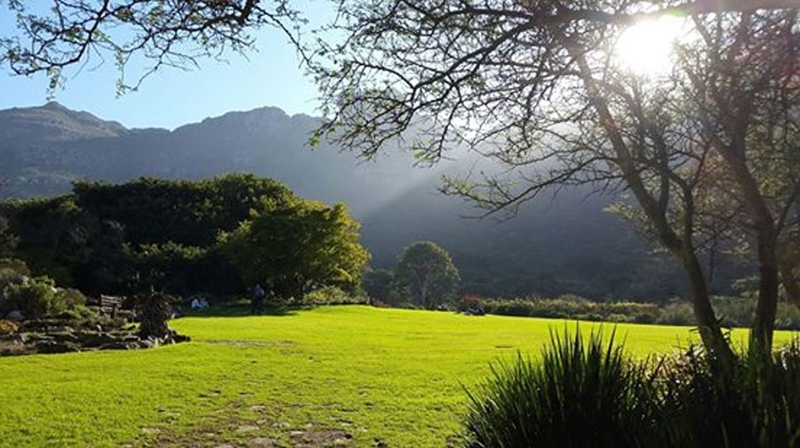 On Sundays during the summer months from December to March, musical sunset concerts are held on the lawns at Kirstenbosch. Craft markets are also held at the Stone Cottages (opposite Kirstenbosch) on the last Sunday of every month (except June, July and August). 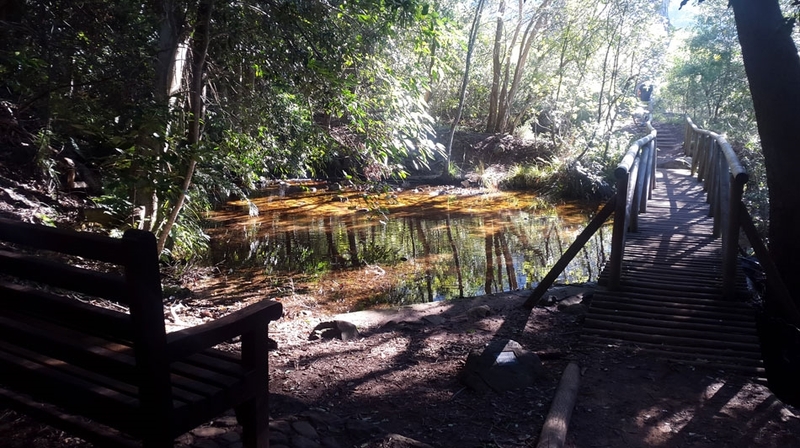 The Boomslang walkway takes the visitor from the forest floor into and through the trees and bursts out above the canopy, giving spectacular panoramic vistas of the surrounding mountains, Garden and Cape Flats. It is 130 m long, narrow and slender, with a few wider view-point areas, and lightly snakes its way through the canopy, in a discreet, almost invisible way. The walkway is crescent-shaped and takes advantage of the sloping ground; it touches the forest floor in two places, and raises visitors to 12 m above ground. It is more than just a traditional boardwalk – like a snake, it winds and dips.